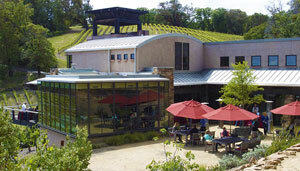 This event will be held at Gustafson Family Vineyards in Dry Creek Valley. Time: 5 p.m. to 7:30 p.m.
Special Ticket Price through the end of May: $50 per person/regular price $90 per person. Presenters: Host Gustafson Family Vineyards and only 5 other wineries will present their Petite Sirah to you in an intimate seminar setting. Light appetizers will be available at the end of the presentation during the winemaker reception.